At the end of September 2018, a group of Gotech employees took part in WindEnergy Hamburg, a conference held alongside with the Fair. The Hamburg Fair is the largest exhibition event in Europe dedicated to wind energy onshore and offshore. The Fair is an international meeting place for establishing business contacts for sub-contractors, service companies as well as distributors and recipients of the energy from wind. Among the topics of the WindEnergy 2018 conference there was a discussion about the global energy transition. The session aimed to bring together policymakers and industry leaders to discuss how the wind industry can make an even greater contribution to a stronger economy, a cleaner environment and a more sustainable energy system, while supporting communities across Europe and beyond. Gotech has been operating in the offshore industry for many years, including especially offshore platforms and offshore wind farms. This is currently the company's specialization. An annual, important event in the energy industry is the Energetyka Bełchatów Conference. This year, the 20th Symposium took place. The representatives of Gotech, who are regular participants, could not be missing. The honorary patrons of the event were, among other, the Ministry of Energy and the National Fund for Environmental Protection and Water Management. The September conference attracts over half a thousand participants and almost one hundred exhibitors every year. Among the topics discussed this year were the directions of energy development in Poland, depending on the sources of its acquisition. At the same time, the debate on the future of Polish heating industry in the context of environmental regulations continued. There were also discussions on environmental protection and innovative chemical and biotechnology technologies in the energy industry. As each year in June - in Poznan – the SUBCONTRACTING Industrial Subcontracting Exhibition was held. GOTECH actively participated in the event as an exhibitor. The coordinator of the joint stand was the Lubuski Metal Cluster. SUBCONTRACTING was organized together with the biggest trade show for the most recent industry-related technologies – industrial fair ITM Poland. SUBCONTRACTING is an opportunity to present the scope of services provided and to establish cooperation with new business partners. The exhibition means also conferences, debates and meetings with specialists, operating in the area of new technologies. Thank you for visiting our stand and valuable conversation, which enabled us to better understand your expectations! The speedway season in full swing! This year again GOTECH, as one of the sponsors, supports the native "black" sport and our employees faithfully cheer the competitors from the stands. 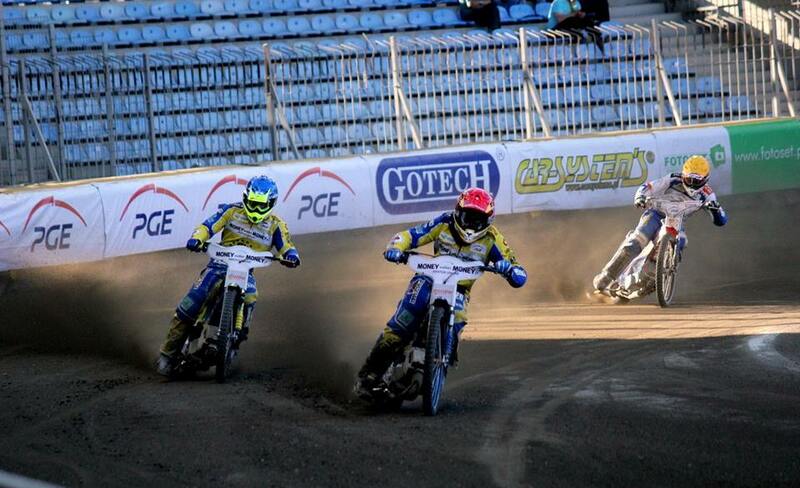 For years, GOTECH has been a member of the Business Speedway Club - an organization that brings together companies and individuals who, through their partnership in the business and social area, contribute to the growth of Gorzow's speedway. At the end of February (27-28 February 2018), the Civil Nuclear Showcase, annually organized by the Department of International Trade of Great Britain, took place in London. As GOTECH’s representative, the event was attended by the Assembly Director - Mr. Tomasz Kos. The discussions at the Conference were focused on the key issues of technology and innovation in the field of nuclear energy, waste management, international cooperation, financial and legal aspects of nuclear industry projects. An important element of the event were 1-2-1 meetings between delegates from the particular countries, including non-European ones. The last stage of foundation works on the development of the existing Cordenka production plant has been completed. On 31 January 2018, GOTECH officially signed the Final Acceptance Report with the Investor. Cordenka is a company with German capital, having its plant in Gorzów Wielkopolski in the Stilon industrial zone. The company is the leading producer of industrial rayon, used for impregnation of products and as reinforcing material in, for exaple, car tires. The value of the whole investment is estimated at PLN 68 million. Cordenka employs in total 700 employees, including 140 in Gorzów Wielkopolski. The development of the plant means new jobs for the residents of Gorzów and the surrounding area. TPV Displays Polska Sp. z o.o. is a producer of LCD TVs. The company has been present in Gorzów for over 10 years and decided to build a Distribution Center with the task of providing customer service for all over Europe. The warehouse, which will be built in Gorzów Wielkopolski shall have 30 172 m2 along with an adjacent social-office building and technical infrastructure. The planned hand over of the investment is July 2018. GOTECH, as the General Contractor, has already completed the preparatory works of the site in order to begin with the construction works. Currently earthworks are in progress, consisting in macro-leveling, i.e. earth moving works, excavations and building of the embankments. The next stage of works is foundation performance. In October 2017, GOTECH signed a contract with the Szczecin City Municipality on the execution of construction works: Modernization and reconstruction of the Secondary School No. 21 in Szczecin for the needs of a Psychological and Pedagogical Center. The works already carried out covered the demolition of existing partition walls and stairs, dismantling of electrical installations, water and sewage, central heating. Ongoing activities are connected with the construction of a new lift shaft, roof skylights. Window frame works and works outside the building are also under implementation. Works completion is scheduled by the end of August 2018. October 26, 2017 in Warsaw the Chamber of Commerce for Energy and Environmental Protection was celebrated its 25th anniversary of activity. The ceremony was preceded by the 1st Congress of Innovation in Power Engineering. The event attracted key decision-makers and industry leaders for this sector and the purpose of the meeting was to create a platform for discussion on the development of the energy sector. 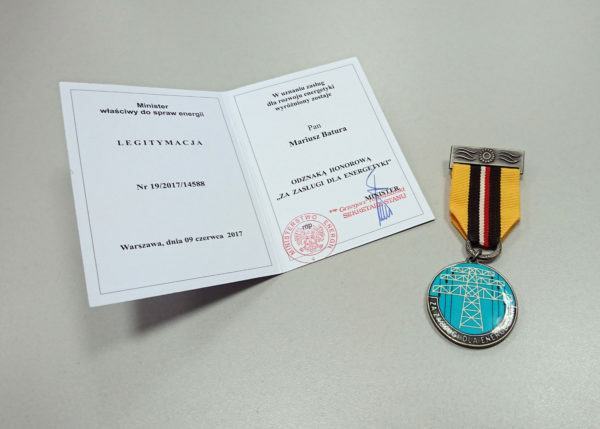 During the Congress the leading persons were awarded with the medal - "Merit for Power Energy". We are honored to inform, that one of them was the president of GOTECH - Mariusz Batura. Currently, works are being carried out over the reconstruction of the production building for Faurecia Leginca S.A. (2) in connection with the assembly of the painting lines in Legnica. GOTECH commenced the works in May 2017. Scheduled completion date: autumn 2017. The scope of work includes, among others: reconstruction and upward extension of the technical-social-office building, adaptation of the warehouse building to the production hall needs, construction under the crane, construction of the external gas and water supply. On September 25th, 9th Gala of the Lubusz Business Leader 2017 took place at the Princely Palace in Zagan. 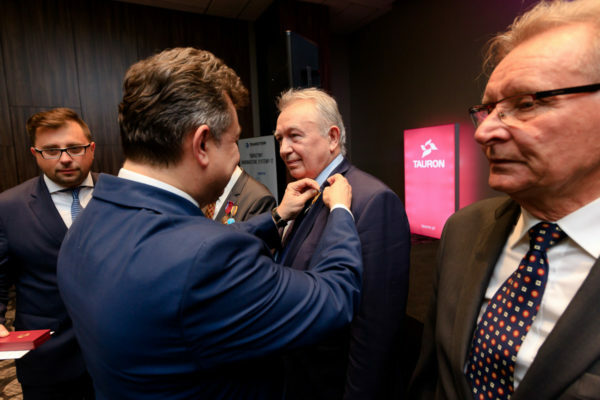 The ceremony was organized by the Western Chamber of Commerce and Industry and the patronage over the contest exercised Elżbieta Anna Polak, the Marshal of the Lubuskie Province. Lubusz Business Leader is one of the most prestigious competition for companies in Lubuskie Province. We are pleased to inform you, that GOTECH also this year was among the companies awarded with the Certificate.